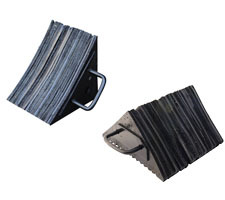 Economical nylon reinforced molded rubber wheel chocks provide sure grip traction. 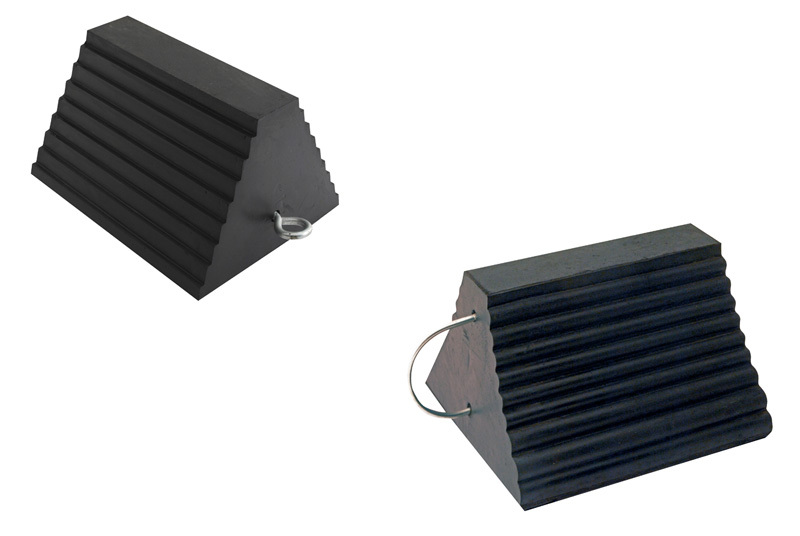 Rubber resists tearing, abrasion, ozone weathering, etc. Safety engineered to prevent sliding. Complete with cadmium plated eyebolt. 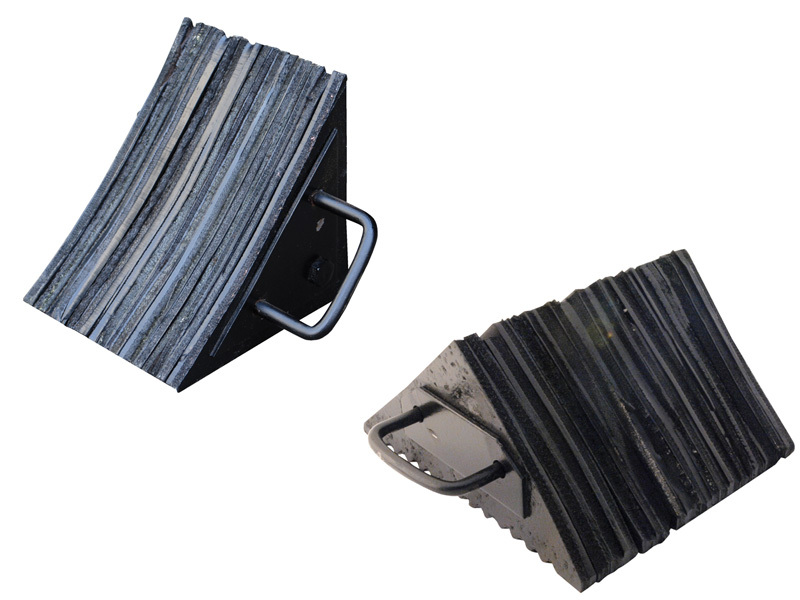 This tough 15' chain attaches to chock and wall to discourage theft and misplacement. 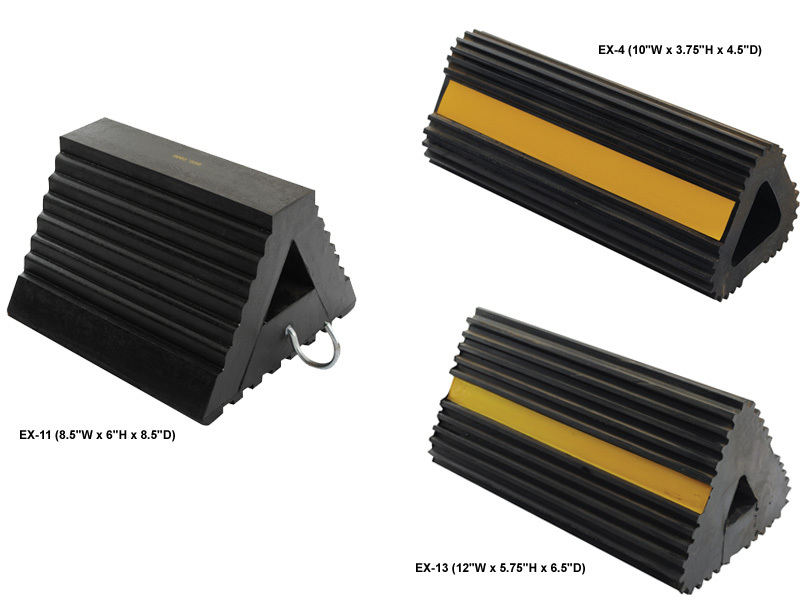 Get the advantages of a light-weight dockboard with the strength of steel curbs to keep your loads on the ramp. WE OFFER A VARIETY OF SIZES AND STYLE. 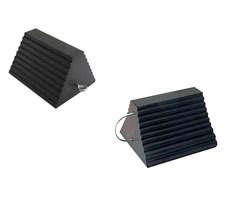 AVAILABLE IN LAMINATED, MOLDED AND EXTRUDED RUBBER; STEEL; ALUMINUM AND URETHANE MATERIALS. CALL FACTORY FOR ADD'L INFORMATION. We purchased several sets of these from you site and they work out fine. We shopped around online and bought yours cause they are cheap and work fine. There is not much to them since chocks simply keep the wheels from moving so no serious accidents will take place with a moving trailer. 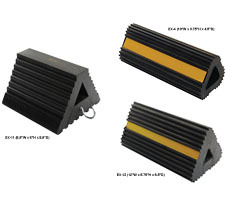 They are a cheap safety item that we use for our dock area. Not much else I can say about them. Hope this helps.